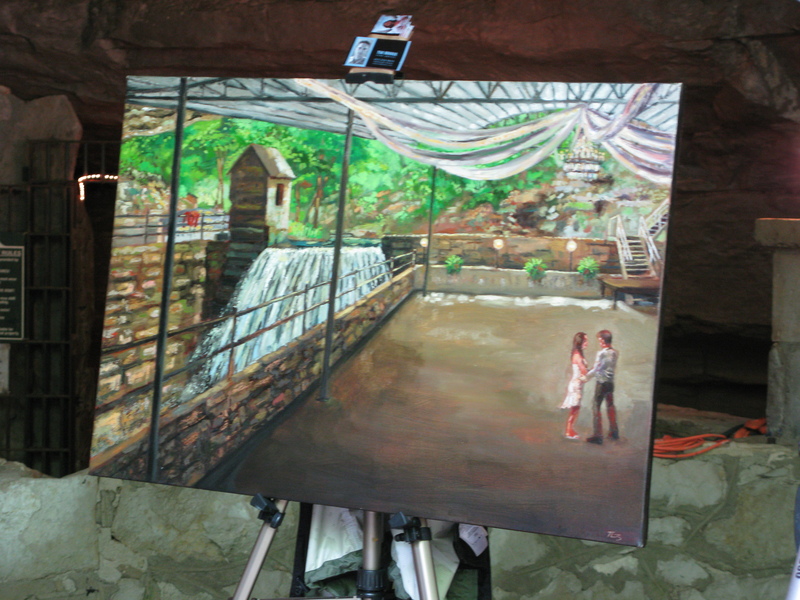 Bonner painting at the mouth of the cave. 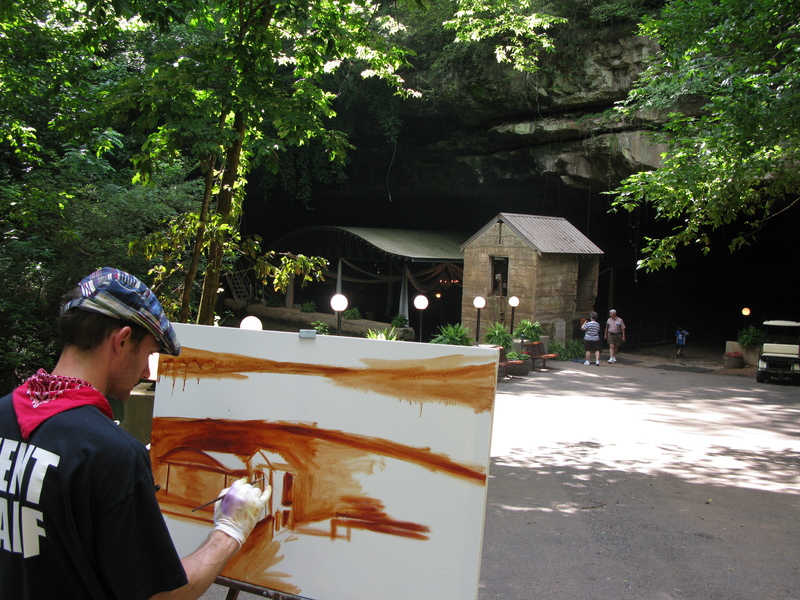 Local artist (and former tour guide), Tim Bonner has been painting canvas at Lost River Cave for a couple of weeks. His beautiful, one-of-a-kind pieces will be auctioned at “Get Down with Dueling Pianos,” the only fundraiser for Lost River Cave & Valley. For more information about “Get Down with Dueling Pianos” please call 270-393-0077. The event will take place on Friday, July 16th.